Five players including Peter Pujals from Holy Cross, James Tabary from McNeese State, Kurt Rawlings from Yale, Mario Jenkins from Idaho State, and Ryan Parenteau from UC Davis have been selected as the College Sports Journal All-Stars for the week ending September 17th, 2017 from the NCAA Division I FCS schools. The honorees are listed here with their achievements and their school, class, position, and hometown. 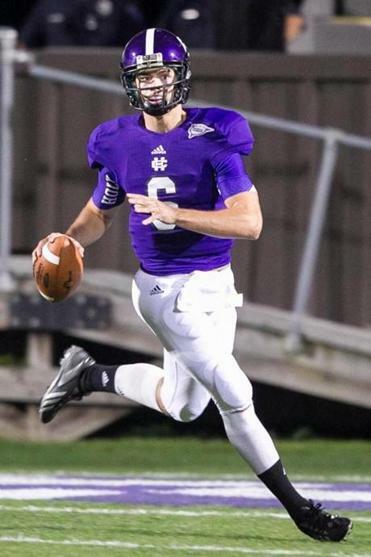 Peter Pujals, Sr., QB, Holy Cross, Glenview, Ill.
Pujals connected on 21-of-39 passes for 367 yards, five touchdowns and zero interceptions to lead Holy Cross to a 51-26, upset victory over No. 11/9 New Hampshire on Saturday. His five touchdowns passes is the second-best total of his collegiate career. Pujals’ 367 passing yards was third best single-game total of his career. James Tabary, Jr., QB, McNeese State, New Orleans, La. 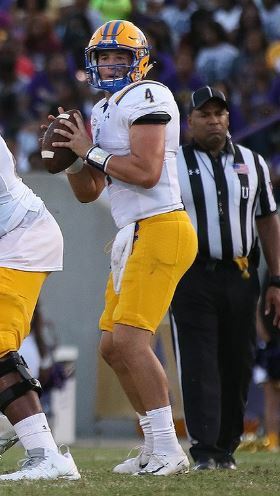 Tabary threw for 322 yards and four touchdowns, including a 33-yard score with 26 seconds to play, to lift McNeese to a 34-27 win over Alcorn State. The 322 yards and four touchdowns are season-highs as he completed 25 of 36 passes. He set a new McNeese career record with his fifth 300-yard passing game in his career. 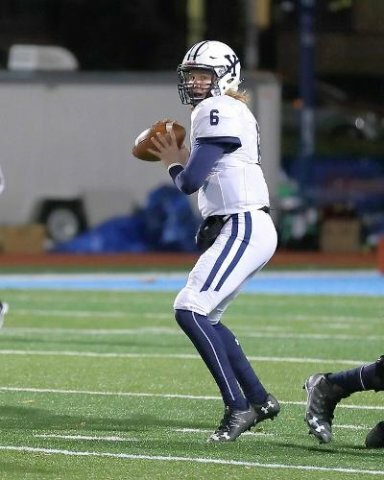 Kurt Rawlings, So., QB, Yale, Bel Air, Md. Rawlings picked up where he left off last season, guiding the Bulldogs to a dominant 56-28 win over defending Patriot League champion Lehigh. Rawlings completed 76.9 percent of his passes (20-of-26) for 308 yards and four touchdowns, while also running nine times for 38 yards. Senior linebacker Mario Jenkins was an integral part in Idaho State’s 30-28 upset victory over FBS Nevada. Jenkins had a career-high 17 tackles to lead the Bengals to its first win over an FBS team since 2000. The win snapped a 27-game losing streak to FBS schools. Jenkins added one sack, two tackles for loss and a forced fumble in the second quarter. Jenkins and the Bengal defense forced three Wolf Pack turnovers in the victory. Ryan Parenteau, Jr., DB, UC Davis, Anthem, Ariz. 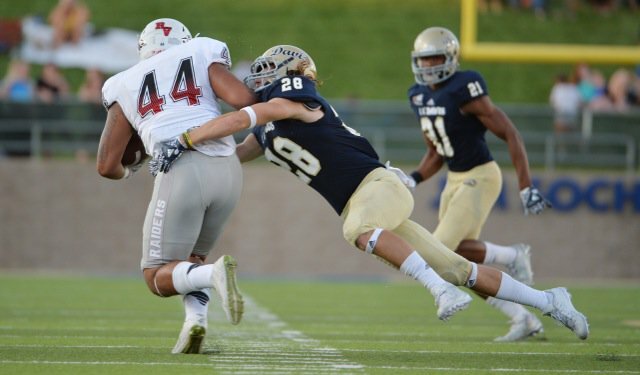 Junior defensive back Ryan Parenteau came away with a remarkable two blocked punts in UC Davis’ road win at Portland State. Both of his two blocked punts led to a UC Davis touchdown. Parenteau first career blocked punt came during the final minutes of the first quarter, and teammate Darryl Graham scooped up the ball and raced into the end zone to extend the Aggies’ lead to 10 points. Late in the third quarter, Parenteau had the magic hands again when he blocked his second punt of the day. His second blocked punt led to a Aggie touchdown and a 23-7 lead over Portland State. He also had eight tackles. Parenteau’s first blocked punt was the first by an Aggie in more than five years, and the first returned for a touchdown since 2008.